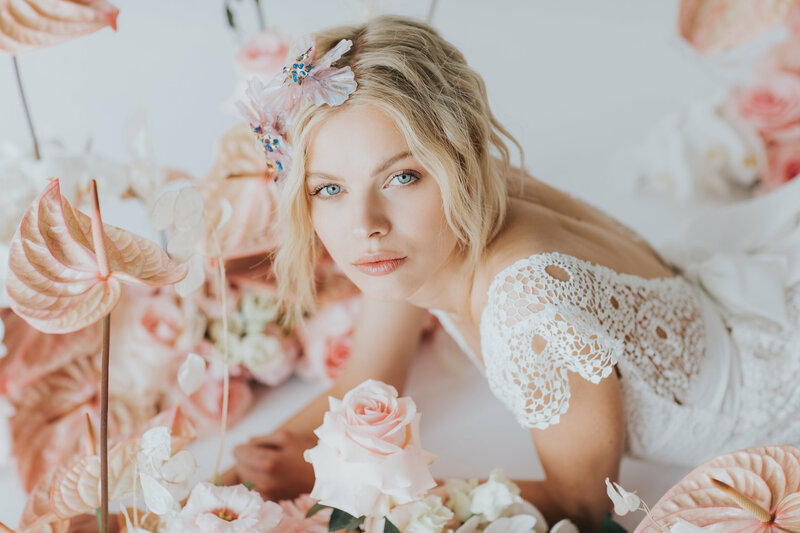 Olivia Bowen Bridal is thrilled to bring a curated collection of chic wedding gowns to the Space Coast. The collection includes both boho and traditional styles, ensuring that you can find exactly the look you want! The gowns are priced from $900 - $5000. Begining with simple sewing of wedding gowns in her apartment and to showing her Swarovski-bejeweled dress – Crystal Swan on display at “Carrousel du Louvre” in Paris, Oksana Mukha passed long and difficult path. They combine in the collection the richness and magnificence of the Middle East gown, the laconicity and elegance of the European style, a classic and romantic image that is so fond of American brides. The main thing with such eclecticism is to maintain the integrity of the collection and to keep the recognizable handwriting of our brand. Identical twin sisters from Australia grew up in a place called The Secret Garden. A shared love of the bohemian chic they saw on French pop stars and European movies drew them to London, Paris and Berlin where they soaked up the free spirited attitude, the nostalgic elegance and began to make their our own dreams come true through fashion, music and art. The collection of enchanting, timeless dresses is pieced together from a delicate assortment of French laces and hand dyed silks. The bohemian style dresses are a combination of California sunshine and vintage elegance, that bring all your childhood wedding day dreams to life.